March 30th was an unusually cool day in Austin: high 50s in the morning and a maximum around 76° in the afternoon. With weather like that bound not to last long in this land of heat, out I went to the natural area in my neighborhood that I’ve often visited along Yaupon Dr. beneath the large power lines. There in a limestone meadow I found a small white flower nestled up against the even smaller pink flowers of some wild garlic, Allium drummondii. 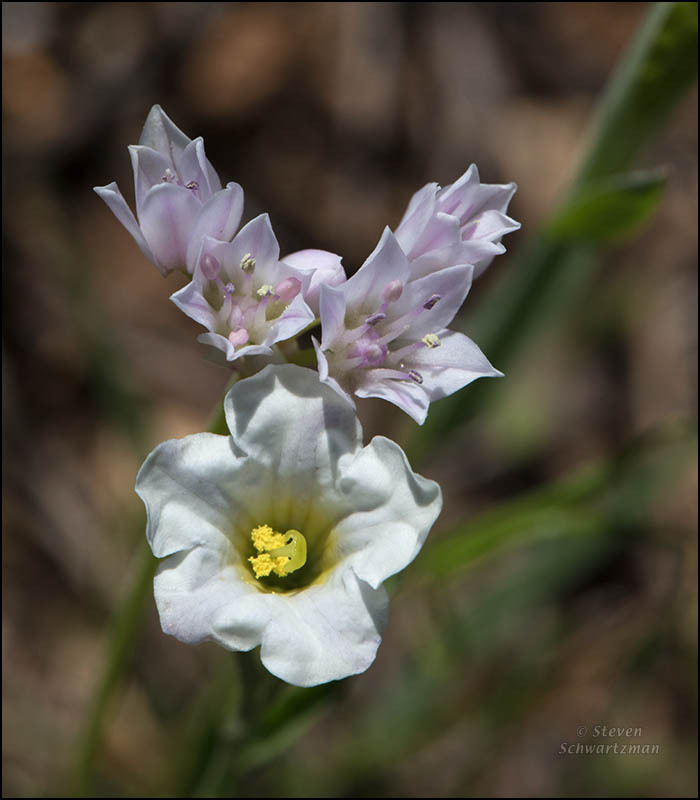 Thanks to Joe Marcus, I learned that the little white flower is Bouchetia erecta, a member of the nightshade family. This species, which is endemic to Texas, goes by the common names erect bouchetia and painted tongue.